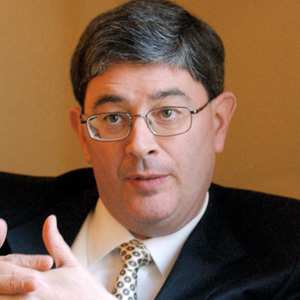 There are some who believe that the Europeans will be able to respect and sustain the agreement with Iran without the United States, but that is just an illusion. Two long years ago the Europeans adopted a comfortable but mistaken policy stance: Kowtowing to the desires of then American president, Barack Hussein Obama, in order to reach an agreement with Iran regarding its clandestine, illegal, and unjustifiable nuclear program. The Europeans gave the go-ahead to a diplomatic dog-and-pony show that, far from solving the problem of a nuclear Iran, only postponed that outcome for a few years. Thus, the Joint Comprehensive Plan of Action (JCPOA) was officially signed in 2015. Obama needed that agreement because his plan was to normalize Iran and reintroduce that country into the international community. The Europeans wanted to be in good terms with the American president, to be seen as relevant in major global decisions, and, in addition, to be able to benefit from lifting the sanctions and to start trading with the Iranians. As current American president Donald Trump has repeatedly said, it is "the worst deal ever” negotiated by the United States, "a shame," and the product of “terrible negotiators.” Indeed, if the objective was to prevent Iran from acquiring a nuclear arsenal once and for all—forever—, the JCPOA is an absolute failure. It certainly imposes some restrictions on the development of enriching uranium and plutonium, but it does not close the door to research or modernization of its nuclear infrastructure. Even worse, it states that, after 10 years, Iran will be free to embark on its nuclear path in complete freedom. In exchange, Iran would receive billions of dollars frozen in its accounts abroad and would see all economic sanctions progressively lifted. Therefore, it is not surprising that Iran felt as the net winner of this agreement and emboldened to continue its expansionist strategy throughout the region, from Tehran to Beirut, Yemen, Iraq, and Syria. In fact, the Shia, Islamic, revolutionary, and hegemonic-hungry regime of the Ayatollahs has never before been so present in the countries of the Middle East, decisively playing in determining their future. This regime punishes Saudi Arabia’s rearguard alongside the Hutus in Yemen; in Syria, al-Assad would have crumbled a long time ago without the Iranian regime’s militias and military advisers; not to mention Lebanon, a zombie state possessed by Iran’s creation — Hizballah, the terrorist group. 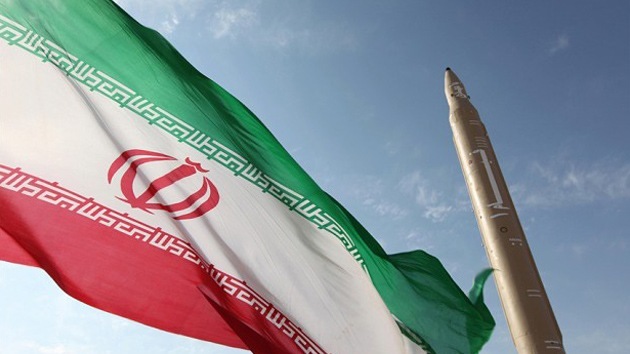 What is more, the Iranian regime has accelerated its research and testing of long-range ballistic and cruise missiles in these two last years in broad daylight, without the need to hide or deceive. Far from becoming “normal,” Iran remains a revolutionary, fundamentalist, expansionist, and enemy-of-the-West regime — but now, after the 2015 agreement, it has more money in its pockets. Last October when American president Donald Trump refused to certify Iran’s compliance with the terms of the agreement, the Europeans went up in arms and launched the now sad litany: “The agreement works.” Although I have my own reservations about its proper functioning, given that the required inspections have not been implemented due to Iran’s refusal, I have to say that even if the JCPOA “works,” it does not erase the fact that it is a terrible agreement because it really is a terrible agreement. In January, the American president exerted further pressure on the Europeans and gave them 120 days to reach an agreement on how to "fix" the wrongs of the deal with Iran, especially the issue of inspections and the 10-year expiration date, better known in professional circles as the "sunset clause." Trump does not want Iran to become a nuclear power in a few years. The problem is that what the Americans see as failures of the agreement, the Europeans see as concessions that had to be made in order to get the Ayatollahs’ signature; moreover, Europe is really terrified with the prospect of putting in jeopardy its great diplomatic work. In any case, the Europeans have carefully prepared a collective response to what they consider an ultimatum on the part of the American administration: It is basically an agreement to sanction the unjustifiable advances on long-range ballistic missiles — and little else. The Europeans are betting their shirts on the White House acceptance of some cosmetic reform that leaves the JCPOA framework intact. Here is where the Europeans are wrong once again: Trump might not be satisfied with a “fake fix,” but willing instead to abandon unilaterally the agreement with Iran. The Administration can and does have all the legitimacy to do so. 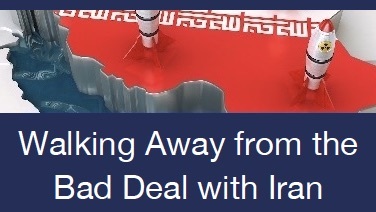 The deadline is May 12 and, if the Europeans still refuse to review the JCPOA seriously, they will have to get used to the idea that they have been left alone holding Iran’s hand. There are some who believe that the Europeans will be able to respect and sustain the agreement with Iran without the United States, but that is just an illusion. If America imposes sanctions against Iran, then all European companies doing business with the Iranians and with interests in the United States will be affected sooner or later by the new American policy. They will have to choose between their interests in Iran or their businesses in America — or the conditions through the financial system controlled by American banks. And where is the real business? I can conclusively declare that it is not in the hands of Iran’s Islamic Revolutionary Guard Corps. Some people sincerely think that any alternative to the JCPOA will be worse and push the Ayatollahs to accelerate their nuclear program. Nonetheless, that does not seem very likely either. Tehran has never opted for acquiring the bomb in the fastest way, but in the safest way for its own survival. It is not likely to see a change in tactics at a time when its domestic weakness has been rattled by all sorts of continuous protests on the streets of its major cities. Moreover, any new provocation in nuclear matters would also force the resigned Europeans to end the agreement and to re-impose sanctions. That is not what the Iranians want. In other words, it is not logical to think that the Apocalypse will come after the JCPOA and that we will be left with only military options. In any case, Europe’s blindness will put us back in a marginal position on the world’s stage, against the ropes, and with increased friction with the United States. We will have to pay that price without even achieving the goal of saving the agreement — the bad agreement. It will be another triumph of our illustrious diplomacy.